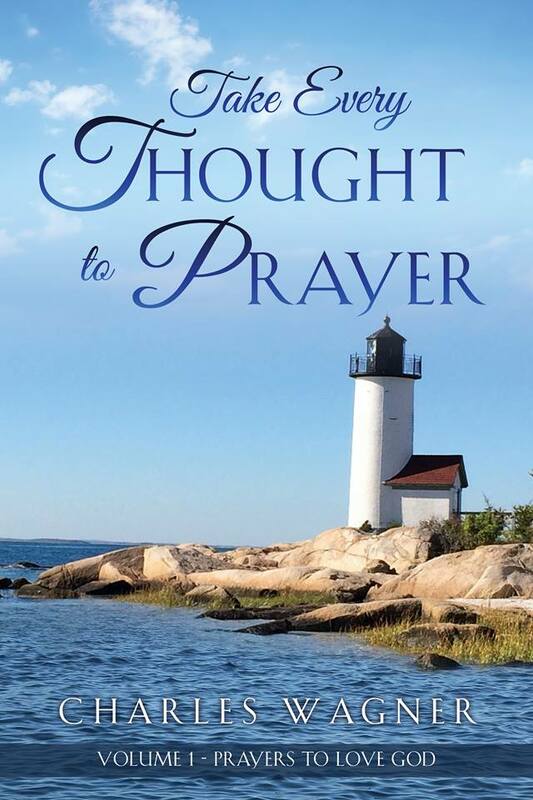 In the preface of the first book of Take Every Thought to Prayer, Prayers to Love God, I shared my testimony of how God transformed my heart through the love of two godly women. I also shared what God taught me about the rebellion of the human heart and His provision of Jesus Christ to pay the penalty for our rebellion. I know that many people do not like explanations for things that are too simplistic. However, after what I’ve been through in life and learning the lessons God has taught me, I believe I have found the key to understanding the mysteries of life. We are rebels from God. We desire to make our own decisions in life. We decide for ourselves what is right and wrong. We set our own goals, ignoring any interest God may have in our lives. We don’t ask God for wisdom. We don’t ask God for His help. We don’t ask God to give us the things that we need. We don’t ask God to protect us from harm. We don’t think to thank God for all the good things we have received. We are focused on neither loving God with all our heart, soul, and mind nor loving our neighbors. When things are going well in life, we tend to forget about God. When things get difficult in life, we first try to figure things out on our own. When that doesn’t work and things seem out of control, we turn to God and ask Him for help. In our typical routine day, we function as though we can handle our lives ourselves. We want to be our own gods. God is all-powerful, all-knowing, omnipresent, immutable, all-wise, sovereign, holy, the creator of love, the inventor of compassion, the architect of mercy, and the designer of generosity. We, on the other hand, are weak, ignorant, finite, variable, foolish, dependent, common, hateful, unkind, unmerciful, and self-centered. However, we put ourselves on the throne of our lives. We know better than God what is best for us. We manage our lives better than He can. We doubt God. We blame Him for the things we do. In fact, we blame Him for just about everything. We don’t think He will come through for us. Therefore, we look to ourselves to rescue us from ourselves. Either we are insane or we are fools. Our rebellion from God is the key to our lack of faith, the brokenness in our lives, and the problems in our community, in our nation, and in international relations. Our rebellion from God explains the human longing to build an all-powerful government that functions as a God-substitute. Man is in charge. We vote ourselves into power. How’s that working for us? This book is not about politics. It is about the relationship between our rebellion from God and the dysfunction in our relationships. When we surrender our lives to God, the Holy Spirit transforms our hearts and minds. Our character will change. We will become more loving, joyful, peaceful, patient, kind, good, faithful, gentle, and self-controlled. Imagine the impact such character traits will have on our marriage, our families, and our friendships. Imagine the impact such character traits will have in our congregation, at our workplace, and in our local community. What does it look like to surrender our lives to God? We ask God to lead us to the right decisions in life. We go with His definition of what is right and wrong. We determine that the purpose of our life is to honor God and love others. We ask God what He wants us to do and then we do it. We ask God for wisdom. We ask God for help. We ask God for the things we previously took for granted. We ask God to keep us safe each day in a broken world. We thank God for everything we can think of. Sigh. The truth is that few of us are focused on loving God with all our heart, soul, and mind or on loving our neighbors. The price we pay for this is a lot of heartache in our relationships. This is the core theme of this second volume of Take Every Thought to Prayer: Love Your Neighbor. We pray in this book for God to change our hearts first before we ask God to resolve conflicts with others. We admit in the prayers in this book that the fruits of our rebellion from God are all the things that mess up our relationships – bitterness, resentment, anger, fear, jealousy, envy, selfishness, and hate. In the first volume of this book, Prayers to Love God, I shared how God delivered me from years of despair and hopelessness. He gave me a new spirit of peace and joy as I encountered the incredible love of God. I began to love others more. When You are grateful for what God has done for you, You love Him more. When You love Him more, You love what He loves – people. You care for others in the same way a man brings flowers to his new girlfriend. You are eager to give the one you love what they want. After the loss of my friend in Texas to a sudden drug overdose, I developed a passion for people who are feeling despair and hopelessness. What could I do for them? How can I give them hope? I had never thought this way before. In 2012 and 2013, my son Chad and I traveled to charities in Pennsylvania, Maryland, New York, New Jersey, West Virginia, Ohio, and the District of Columbia. We volunteered planting trees, serving a meal to the families of children fighting cancer, delivering Christmas gifts to cancer victims, serving meals in homeless shelters, and delivering used furniture to families struggling with poverty. Our story was covered on WBOY in West Virginia and Fox 19 in Cincinnati, Ohio. It was also the lead article in the local section of the Sunday paper of The Dominion Post. The story of a father and son wanting to volunteer around the country made a little news. We were scheduled to visit charities in every state in the country until God altered our focus. I made a connection with a prison and addiction recovery ministry in Bensalem, PA and participated frequently in worship services with inmates inside the largest adult prison in Philadelphia, PA. I am currently volunteering each week with a juvenile detention ministry in Massachusetts, building relationships with young men who have made mistakes in their lives but whom God loves dearly. I understand the love God has for teens who are searching for answers after they have committed serious crimes. As I began to work with more and more people, a new spiritual gift was revealed. God had given me the gift of prayer. I began to write prayers for Take Every Thought to Prayer viii people and send them by email or text. I sent prayers to family, friends, pastors of churches, and business associates. However, I wanted to do more. I began to pray with people in person and on the phone. After a while, people began to ask me to pray for them and a new ministry and the precursor to Take Every Thought to Prayer unfolded. Can you see the change God can make in your heart? Look what He did in my life. Thirteen years ago, I was looking to end my life by driving my car into a tree. God can change you and heal your relationships and the secret to these changes is to surrender your heart to the God of all compassion, mercy, and love. My story is one of millions. There are believers across our nation whose lives have been transformed by Jesus Christ. They have testimonies of personal encounters with the incredible and wonderful love of God. I searched over 2,300 church websites, convinced I would easily find such testimonies. Shockingly, I did not find one church website that featured a testimony on the home page. Less than 3% of the churches published an online testimony. Those that did tucked them away on a remote page on their website, like a torn paper in a cobweb filled box in a closet basement. Jesus Christ deserves better than this. People in our communities who are searching the Internet for hope deserve better than this. Encouraging believers to share their testimonies on their church’s website has become my mission. I ask You to visit www.gramazin.com (“amazing grace”) to learn more about the calling God has put on my heart. Why aren’t believers more excited to share their testimonies? Is it simply they haven’t been asked? That is true for many of the faithful. Let’s ask them. However, it is possible other believers have something else going on. Is it possible that some believers in Jesus Christ continue to struggle with their rebellious nature and aren’t excited to share their testimony? Believers continue to struggle with their rebellious hearts. I know this is true for me. Many friends would call me a man of prayer. However, I cry out to God with a spirit of confession and repentance many afternoons or evenings when I’ve managed to go all day without coming before Him in sincere prayer. I recognize my stubborn rebellious human nature in the mirror that I will be battling until I die and it is so frustrating. It is for this reason that I believe I was inspired in the fall of 2016 to write both volumes of Take Every Thought to Prayer. The books call believers, like myself, to confess our rebellion from God and to surrender our hearts to His authority. My mission will fall on deaf ears if my brothers and sisters in Christ don’t have a heart for sharing their testimony. May these books help those who don’t know how to approach their loving Father with a spirit of confession, repentance, and surrender. May these books be the inspiration for testimonies believers will subsequently write. After thirteen years of divorce, grief, loneliness, financial crisis, a severe back injury, and God’s seeming silence to my cries for relief, my prayers were finally answered in 2016. I had reconnected with Karen the year before. She was my dear friend from college who I hadn’t communicated with in thirty-one years. We spoke for over 1,300 hours on the phone, including six hours and fifty-six minutes one day. We enjoyed letters that were written back in 1984. We married in August and I moved to her home near the ocean in Cape Ann Massachusetts. It was in our scenic seaside village on cool autumn nights, with the buoy in the ocean clanging nearby, that I was inspired to write these two books. Many of the prayer topics include a variety of issues that any one individual may not deal with. For example, prayer #426, I Feel Survivor’s Guilt, lists a wide variety of catastrophes. No one person will experience all these things. I hope. This is an example of a prayer topic deliberately written to connect with a broad audience. I understand an effective counselor is compassionate and gentle. It takes time to get to know a person, to build their trust, and to understand their pain. A faith-based counselor does not speak about issues of confession, repentance, and surrender until the time is right. However, the prayers in this book cut to the chase and make a quick point. They may seem insensitive. I ask your grace and presume the Take Every Thought to Prayer x loving compassion I feel for people who suffer in each topic presented in this book.